Prepares technicians for the Type I (small appliance), Type II (recovery, recycling and reclaim) and Type III (chillers) certification tests mandated by the EPA under Section 608 of the Clean Air Act. This manual prepares HVAC-R technicians with the knowledge needed to respond professionally to current and future environmental challenges. It begins with discussion of HVAC fundamentals and core topics, such as: refrigerant chemistry, oils, ozone depletion, global warming, and the Montreal protocol. 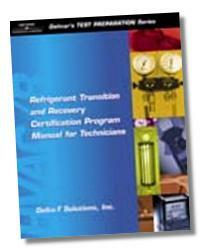 Subsequent sections, each conveniently organized around a specific certification type, allow readers to delve into specific technical information, regulations, and procedures pertaining to small appliances; recovery, recycling, and reclaim; and chillers. Relevant forms, logs, and reports, plus a comprehensive glossary, are also included in handy appendices. 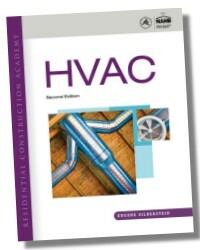 In a field where technology change is the norm, and regulations are increasingly requiring HVAC-R technicians to adopt new procedures in order to contend with environmental problems, this manual serves as both an effective test preparation guide and an indispensable professional field reference. Detailed drawings, illustrations, and procedural charts are used effectively to supplement the text, guiding users to a complete understanding of "must-know" technical information. A chapter on Refrigeration and Air Conditioning System Fundamentals with diagrams of many systems and components has been included in this edition. The chapters on refrigerants and oil, refrigerant chemistry, small appliances, recovery, recycling and reclaim, and chillers have been updated to reflect the most recent industrial changes and legislation. An all-new chapter on ozone depletion and global warming is included in this edition, underscoring the significance of these environmental issues on HVAC-R industry practice. Sample test questions with answers, plus tips for overcoming test-taking anxiety, are contained in an appendix, enabling readers to prepare thoroughly for certification exams. 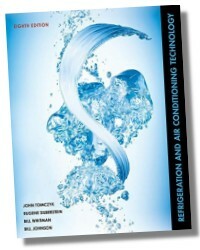 Refrigeration and Air Conditioning Systems Fundamentals. Refrigerant Oils and their Applications. Ozone Depletion and Global Warming. Safe Handling and Transport of Refrigerants. Conservation - Servicing and Testing. Related Forms, Logs, and Reports. 192 Pages - 8-1/2 x 11 in.